Helping you get back to a pain-free lifestyle. In the fast-paced society in which we live, bone and joint problems can prevent you from enjoying your usual active lifestyle. No matter what is slowing you down - a troublesome problem, a sports injury, or an unexpected trip to the Emergency Department - Chester County Hospital's integrated team of orthopaedic specialists, nurses, and physical and occupational therapists provide a comprehensive array of services all aimed at getting you back to your normal pace of life as quickly as medically possible. Chester County Hospital's Case Management and Social Work teams are experts at determining the service needs of post-operative patients and their after-hospital care. Physical Therapy can be administered at the patient's bedside or in the rehabilitation gym located right in the same unit. There are multiple pain control modalities. Services requiring outpatient surgery are offered through the Ambulatory Care Center, located at the hospital. Discharge plans are customized to the individual patient's needs and begin prior to the surgical procedure. Our Orthopaedic Program provides patients easy access to high-quality services that focus on getting you back to your normal activity level. Our board-certified physicians offer patients both surgical and non-surgical treatments for all areas of orthopaedics. Our orthopaedic specialists are trained to diagnose and care for all disorders of the musculoskeletal system: bones, joints, muscles, ligaments, tendons and nerves. There are numerous locations throughout Chester County and the surrounding area where patients can access orthopaedic services provided by our Hospital-affiliated physicians. View informative videos from some of the orthopaedic specialists from The Orthopaedic Center at Chester County Hospital. View informative videos from real orthopaedic patients who have been treated at Chester County Hospital. A member of Chester County Hospital Medical Staff since 1994, Dr. Simmons received his medical degree from Jefferson Medical College of Thomas Jefferson University in Philadelphia, PA. He completed an internship at Graduate Hospital, a residency at Thomas Jefferson University Hospital, a research fellowship at The Rothman Institute in Philadelphia and a fellowship in joint replacement and spinal surgery at The New England Baptist Hospital in Boston. He is past recipient of the Everett J. Gordon Award for Clinical Excellence in Orthopaedics and previously served as a staff physician with the New England Baptist Hospital. Dr. Simmons is Board Certified in Orthopaedic Surgery and is a fellow of the American Academy of Orthopaedic Surgery. 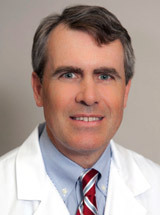 He has been in private practice with Chester County Orthopaedics Associates, Ltd., since 1994. Learn the ins and out of knee replacement or hip replacement at Chester County Hospital during this FREE informative session.